This kit will make at least 12 candy floss. 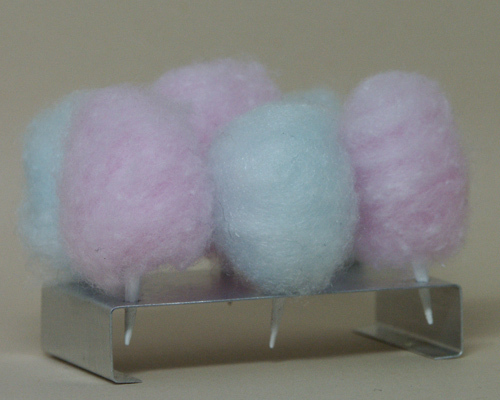 Kit includes 6 cotton balls, 12 pre-painted white sticks and an aluminum tray with pre-drilled holes to hold 6 candy floss upright. Each cotton ball should make 8-12 candy floss. If you would like to mix colours, please select one colour, and request colour combination in order comments. Instructions avilable in Tutorials on this website.